Celebrex lowers the risk that precancerous colon polyps will grow back — but ups the risk of serious heart trouble, two large studies show. The bottom line: Celebrex's heart risks outweigh its polyp prevention benefit for the average person. That's the opinion of Bruce M. Psaty, M.D., Ph.D., and John D. Potter, M.B., Ph.D., of the University of Washington. Their editorial accompanies the two studies in the Aug. 31 issue of The New England Journal of Medicine. The studies found that Celebrex cuts the risk of new polyps in half. They also found that at the dose tested — 400 milligrams per day — it doubled the risk of heart disease. Doctors are paying a lot of attention to heart risks linked to Celebrex. 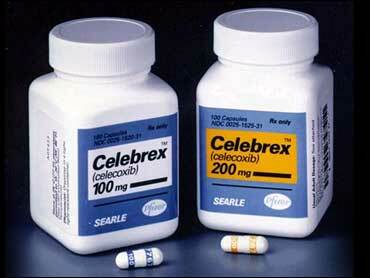 That's because Celebrex is a member of the painkiller family called Cox-2 inhibitors. Other members of the family are Vioxx and Bextra — both removed from the market because of their link to heart disease. Celebrex isn't as risky as Vioxx and the most common dose of Celebrex — 200 milligrams a day — has never been linked to heart disease or heart attacks. But Celebrex, in addition to all prescription anti-inflammatory drugs, carries some risk of heart problems and the FDA has required a warning on the drug's labels. Cox-2 inhibitors are the most recent generation of the painkillers called NSAIDs (nonsteroidal anti-inflammatory drugs). Older NSAIDs include aspirin, ibuprofen, and naproxen and can cause stomach problems such as ulcers. Except at high doses, Cox-2 inhibitors are easier on the stomach than the older NSAIDs. Celebrex and other anti-inflammatory drugs are very useful for the treatment of arthritis and other painful conditions. Each person, with the help of his doctor, must weigh the benefits of these drugs against any possible risk. The new findings don't apply to people who take lower doses of Celebrex for arthritis pain. For them, the drugs' benefits may outweigh its risks. It's known that Celebrex helps prevent precancerous polyps in people with a rare condition called familial adenomatous polyposis that greatly increases the chance of getting colon cancer. In this condition, polyps are much more likely to become cancerous. Celebrex helps prevent these high-risk polyps, and is currently approved for this purpose — but at a very high dose. However, in these people the risk of colon cancer is so great that the benefits of Celebrex are more likely to outweigh the heart risk. SOURCES: Bertagnolli, M.M. The New England Journal of Medicine, Aug. 31, 2006; vol 355: pp 873-884. Arber, N. The New England Journal of Medicine, Aug. 31, 2006; vol 355: pp 885-895. Psaty, B.M. and Potter, J.D. The New England Journal of Medicine, Aug. 31, 2006; vol 355: pp 950-952.